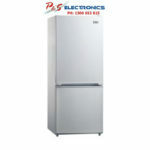 With a Chrome Pocket Handle, Anti-fingerprint Finish and 668 litres of total capacity, enjoy the convenience and storage of this Side by Side refrigerator. The design of the water and ice dispenser makes it easy to fill tall containers. Digital controls make it easy to see the fridge settings. 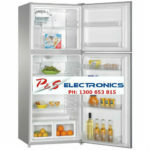 Built into the fridge door to give you shelf space whilst still allowing for storage on the door. 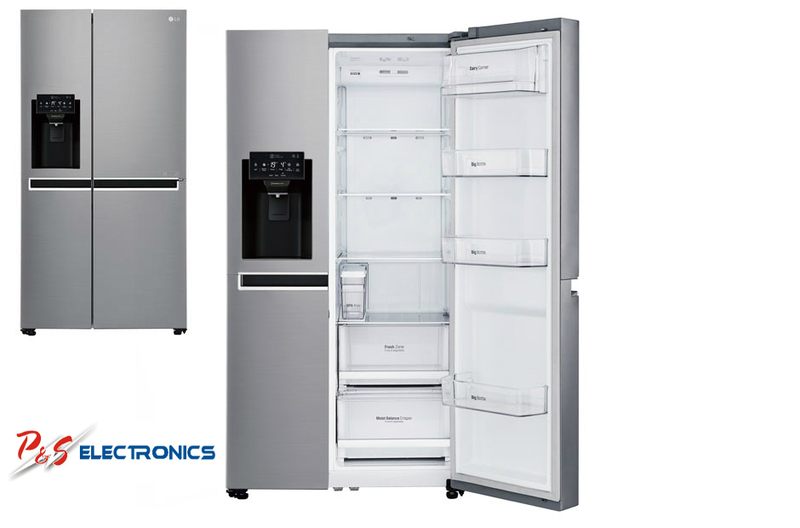 Enjoy the convenience of ice & water without the need to have the refrigerator connected to your water supply. Inside the refrigerator is a water canister which can be removed for easy filling. The lid of the Moisture Balance Crisper has a lattice structure that retains evaporated moisture from fruit and vegetables, allowing them to stay fresher for longer. The refrigerator’s anti-fingerprint finish is resistant to smudges and stains, and a quick wipe takes care of any residual grime. The water dispenser comprises an internal tank, so there’s no need to plumb the fridge into your kitchen’s water supply. While this does mean you’ll need to keep the water tank topped up manually, it’s still an easy way to enjoy a steady supply of chilled drinks.